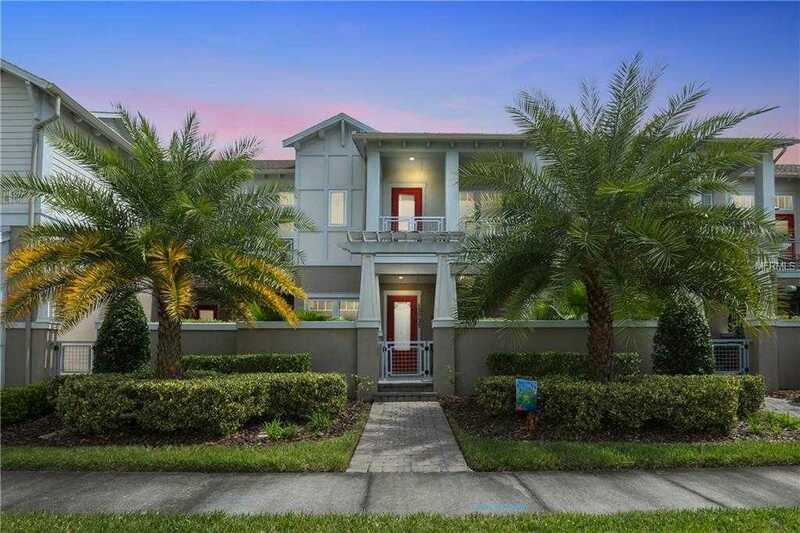 Gorgeous waterfront townhome in the desirable community of Laureate Park at Lake Nona! This popular Minto Hartwell home features 3 bedrooms, 2.5 baths, and a 2 car garage. Custom designer touches are at every corner from crown molding, built-in mirrors, to the hardwood floors along the stairs and second story rooms. Entertain your guests in the large courtyard facing water or relax and watch the Disney fireworks from your balcony upstairs on a clear night! Cooking and entertaining is a breeze in the downstairs open concept. Walking distance to Canvas restaurant, community pool, gym, and elementary school! Bike and walking trails stretch throughout the neighborhood as well. Home comes with a 1 year home warranty. Schedule your tour today because this home is going to go fast! Please, send me more information on this property: MLS# O5774360 – $335,000 – 13737 Benavente Ave, Orlando, FL 32827. I would like to schedule a private showing for this property: MLS# O5774360 – $335,000 – 13737 Benavente Ave, Orlando, FL 32827.